iOS and Android Security Apps: Make your Online Presence Secure and Private! 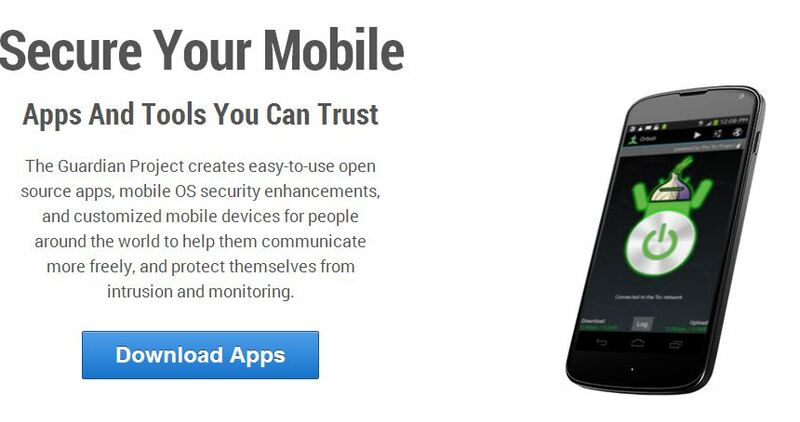 iOS and Android Apps to Make your Online Presence More Secure, More Private! The year twenty thirteen was indeed an upsetting one when you look at all the news, leaks and reports that whirled around Snowden case. In the past couple months, there has been an increasing number of reports, proved by leaked documents, of agencies like National Security Agency (NSA) prying over our smartphones. While many of us mobile users are still aren’t that freaked out to the level we should be, there are those who are eagerly looking forward to way they can make their mobile experience more private, more secure. Android and iOS are two major mobile OS being used today by millions of users worldwide. In this post, we will focus on some Android and iOS security apps that would help you making your online presence safer than before. The Guardian Project provides a collection of open source security apps with a focus on mobile OS security and privacy. Various apps like Orbot (Tor-like service allowing you access censored, blocked material), Orweb (web browser with a focus on increased privacy), ChatSecure (encrypted messaging app), Ostel (make encrypted phone calls), etc are part of this project. The Guardian Project is a complete security and privacy based attempt at making these tools more freely available. The project also keeps a track on third-party apps with a focus on encryption and security. All the apps at the Guardian Project are available for free. You can (should) read and access apps and details from this link. Perhaps one of the most popular security apps, Hotspot Shield VPN is available for Android, iOS and Windows OS platforms. “Protect Your Privacy. Secure Your Data. Unblock Websites.” is the tag line of Hotspot Shield saying it all. You can read the details and get the apps from here. “Silent Phone” is a secure mobile privacy solution allowing you send encrypted text messages, make secure phone calls, send files and more. Available for both iOS and Android, Silent Phone lets you make cross-platform call over 3G, 4G, and WiFi. The app also offers encrypted video calling feature. Get more details and download links from the official website. Security experts have always advised users to never stick to one password for multiple sites. As the number of sites, bank accounts, and apps increase, it is becoming more tedious to keep a track of your passwords. However a good and credible password manager can help you in keeping your passwords secure and safe. mSecure Password Manager is available for both the iOS and Android. Albeit a little pricey at $9.99, mSecure Password Manager lets your store your passwords, credit card digits and other sensitive information safely. Following strong encryption protocols, mSecure can lessen you memory troubles while securing your sensitive data.